President Donald Trump's former campaign manager Paul Manafort was charged on Friday with paying European leaders to lobby of behalf of Ukraine, special counsel Robert Mueller alleged. The leaders in question, who include former leaders of Austria and Italy, have denied any wrongdoing. The leaders were allegedly part of a lobbying group called the Hapsburg Group. Following special counsel Robert Mueller's newest indictment on Friday of President Donald Trump's former campaign manager Paul Manafort, two former European leaders were shocked to find their names mentioned in the indictment documents, claiming they'd done nothing wrong, according to the New York Times. According to Mueller's indictment, two European politicians were secretly paid around €2 million by Manafort in order to "take positions favorable to Ukraine, including by lobbying in the United States," the Times reported. This money was paid during a period when former Ukrainian President Viktor Yanukovych was inching closer to Europe on several issues. He eventually changed course however, and was ousted in a pro-Western revolution in Ukraine in 2014. The group of politicians who were allegedly paid by Manafort were known as the Hapsburg Group, a reference to the famous Austrian imperial dynasty. Although the indictment documents did not name the leaders, the former Prime Minister of Italy Romano Prodi stated in an interview on Saturday that he and former Austrian Chancellor Alfred Gusenbauer were the leaders mentioned. But Prodi said he was not aware that the funds Gusenbauer had paid him had come from Manafort, and were part of "normal private relations I had with him," and was "not any money from external sources." 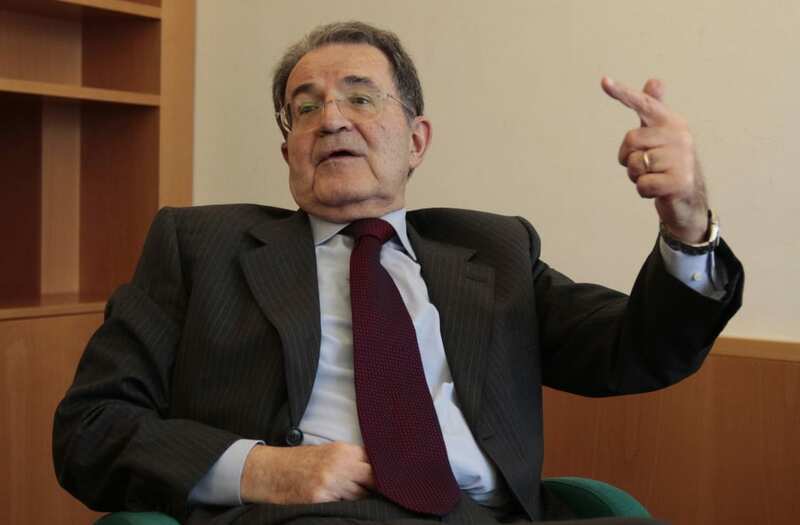 "I tell you I have never been paid from any lobby group in America," Prodi added. According to the Times, Prodi and Gusenbauer had both long believed that closer ties between Ukraine and the European Union were a good thing. "I always had the point of view that it was important to move Ukraine closer to Europe," Gusenbauer told the BBC in a statement. "It would have been extremely positive if Ukraine could have agreed" to closer ties, he said. "I was talking to E.U. and U.S. politicians to make that point clear... I stopped this activity when I had the impression that Ukraine was moving in the wrong direction." Mueller's documents claim that the group had strategized to "appear to be providing their independent assessments of Government of Ukraine actions, when in fact they were paid lobbyists for Ukraine," according to the Times. Gusenbauer did admit that he had been paid for working on behalf of Ukraine, but did not divulge by whom. According to filings made by Mercury Public Affairs, a political strategy group contracted by Manafort, the former chancellor had met with several members of Congress in 2013 to lobby for Ukraine. The Podesta Group, a Washington lobbying firm formerly run by the brother of the former chairman of the 2016 Democratic presidential campaign John Podesta, also reportedly "arranged meetings and media opportunities" for a group of visiting European leaders working on the Ukraine issue that included Prodi and Gusenbauer. Prodi however has denied membership in this group, and stated that Gusenbauer headed it. Last year, Manafort and his former deputy Rick Gates had been indicted on 12 charges related to money laundering, tax fraud, failure to register as foreign agents, and conspiracy against the United States. But on Thursday, Gates and Manafort were handed a superseding indictment that replaced the original 12 charges with a fresh set of 35 charges related to tax and bank fraud. Mueller's indictment document alleges that Gates and Manafort set up offshore bank accounts that they then failed to disclose to the proper authorities, and laundered over $75 million through these accounts. Friday's indictment was placed on top of these existing charges.